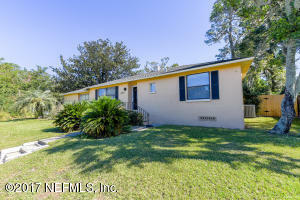 Gorgeously updated and remodeled home located in the highly desirable San Marco area. This property is a 3 bedroom, 2 bathroom home with over 1750 sq. ft. Home has been meticulously maintained. Features include stunning hardwood flooring throughout, updated kitchen with stainless steel appliances and granite counter tops, back-splash, updated bathrooms with beautiful tile flooring and showers. Home sits on corner lot with a side entry garage. Rear of the property is enclosed with new fencing. Enjoy your evenings out by the pool in one of the hottest locations in Jacksonville. Schedule a showing today, this property wont last long! This home has been on the market since Oct 31,2017. Courtesy of KELLER WILLIAMS JACKSONVILLE.